Saunders Havill Group was responsible for town planning for the TriBeCa Terraces development, securing development approval for 53 luxury terrace homes inspired by New York’s prestigious TriBeCa neighbourhood. The terrace homes are three bedroom, two or three storey freehold homes designed for prestigious urban subtropical living. Saunders Havill Group’s Amy Russell (Senior Planner) and Nick Christofis (Principal) worked collaboratively with the developer – Di Carlo Property Group – and the consultancy team to overcome challenging design and planning issues to achieve this unique development outcome for the site. The development promotes a village style atmosphere and sense of community; and will be a key residential development for Bulimba. The terrace style product respects the scale and character of the area through varied building heights, articulated built form and character building elements. The terrace style product also provides a sensitive transition between the adjoining three storey apartment building to the south and existing character houses to the north. The development achieves a number of key outcomes sought for low-medium density areas under the Brisbane City Plan 2014 including urban consolidation; creation of walkable neighbourhoods; co-existence of houses and low-medium rise multiple dwellings; and alternate housing types which provide housing diversity. 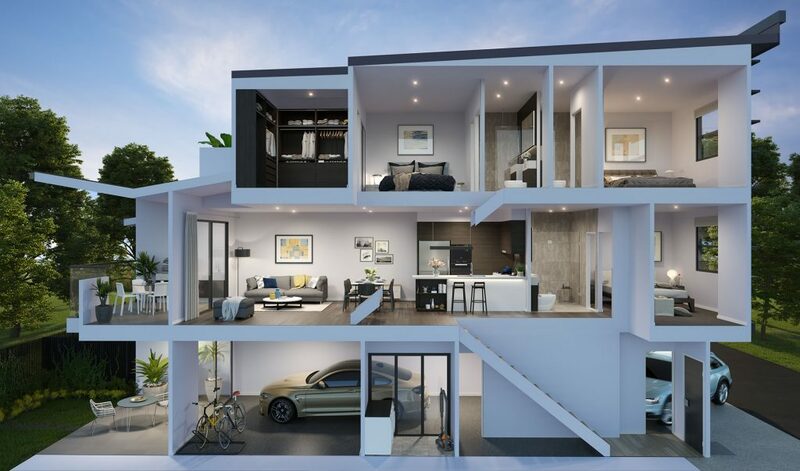 The development also addresses the ‘missing middle’ between high-rise apartments and detached houses by achieving urban consolidation which respects the existing scale and character of Bulimba and contributes to meeting the housing needs of a diverse community. Creation of standard format lots in a community management scheme to provide purchasers with their own block of land, increased certainty and lower body corporate fees. Saunders Havill Group congratulates Di Carlo Property Group on a successful approval outcome and we look forward to assisting with the delivery of the project through the construction phase and to completion. Mark is the Business Manager at Saunders Havill Group. He joined the Saunders Havill Group team in 2009. Mark leads the administration team and coordinates Saunders Havill Group's integrated Management System covering safety, health, environment and quality assurance.